Nice and simple. A welcome sight in the morning in Copenhagen. After a snowfall - most often during - the sidewalks and cycle tracks are cleared of snow, allowing for trouble-free mobility. 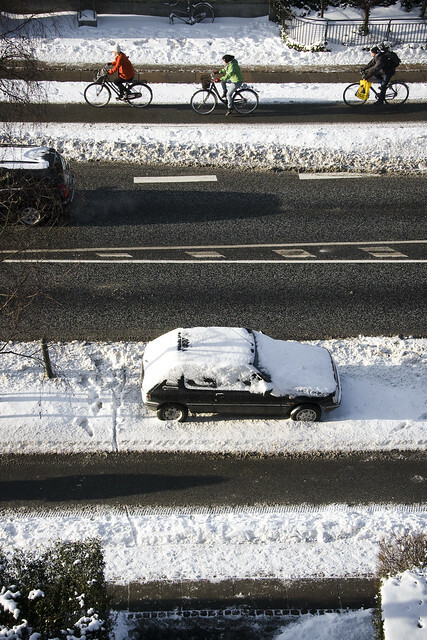 - Copenhagen runs out of salt - priortizes only cycle tracks.